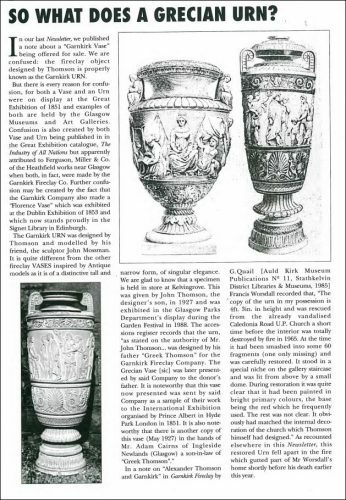 George Mossman (1823 – 1863) – A close friend and associate of Alexander ‘Greek’ Thomson , he produced the Classical frieze on his Garnkirk Urn, which was commissioned by the Garnkirk Coal Company as their exhibit in the Great Exibition, 1851. This was later exhibited at their fireclay showroom in Buchanan Street and in the exhibition Alexander Thomson The Unknown Genius, held at The Lighthouse, Glasgow, as part of the City of Architecture celebrations, 1999. The Urn is now on display in Kelvingrove Art Gallery and Museum. 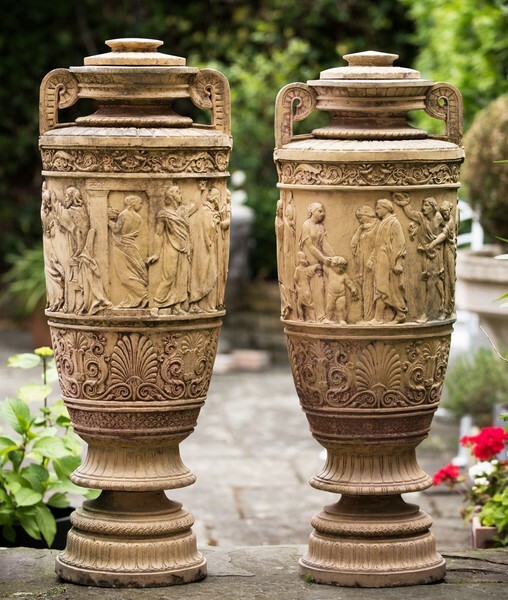 A Pair of 19th century Garnkirk fireclay Nuptial Vases designed by Alexander ‘Greek’ Thomson (1817-1875) and modelled by John Mossman (1817-1890). Alexander ‘Greek’ Thomson was a visionary Scottish architect whose reputation was founded on a combination of commercial success tempered with a need to instil the mystical and exotic into his commissions. He rejected the Gothic style that prevailed in Britain in the 1850s and 1860s and strove to resuscitate the principles of Greek architecture. The current vase manufactured by Garnkrk Coal Company and depicting a bridal procession on the frieze is an early example of how he managed to combine Greek principles and industrial design. A coloured example was shown in London at the Great Exhibition of 1851 and is now on display in Glasgow’s Museum and Art Galleries. 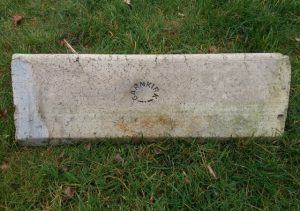 Found by Eddie McLean in the Glasgow area. Garnkirk to the front. Patent to the rear. 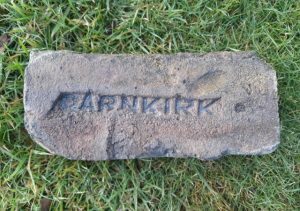 Garnkirk Fireclay Works, Garnkirk, Lanarkshire . .
Found by Eddie McLean in the Glasgow area. Garnkirk to the front. Patent to the rear. Garnkirk Fireclay Works, Garnkirk, Lanarkshire . . .
Found by Eddie McLean in the Glasgow area. Note the thumb print to top right. 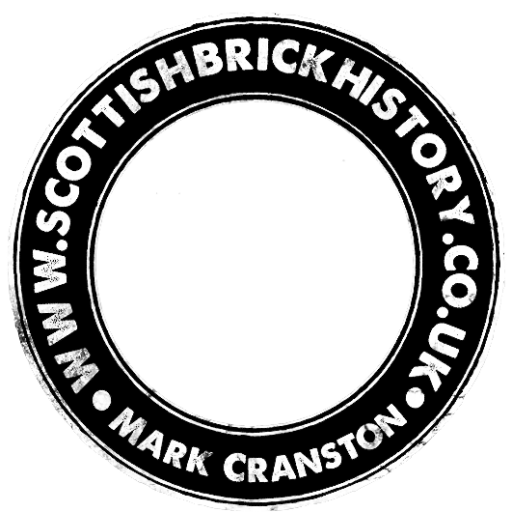 Garnkirk Fireclay Works, Garnkirk, Lanarkshire I may already have this mark but it does appear slightly different – this may be due to distortion during the firing process. 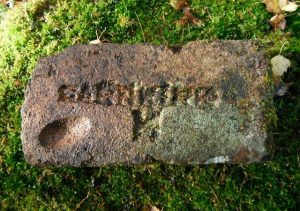 . .
Found by Ian Suddaby at a derelict farmhouse in the Great Glen, supposedly burnt down in the early 20C Wedge or voissior brick with thumb print. 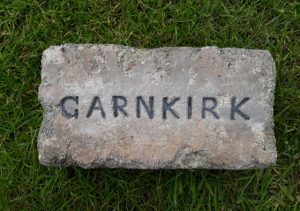 Garnkirk Fireclay Works, Garnkirk, Lanarkshire. . .
Found by Ian King in the Coatbridge area. 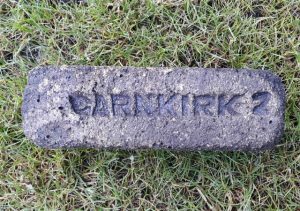 Garnkirk Fireclay Works, Garnkirk, Lanarkshire. . . . .
Found in a reclamation yard in Blackburn, Aberdeenshire. Garnkirk Fireclay Works, Garnkirk, Lanarkshire. 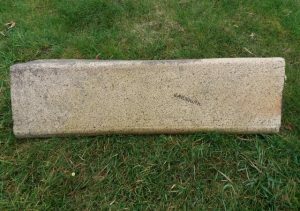 Roof ridge tile. . . . . .
Found in a reclamation yard in Blackburn, Aberdeenshire. 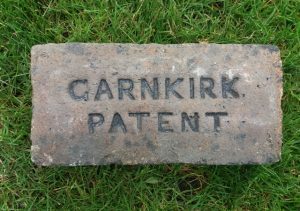 Garnkirk Fireclay Works, Garnkirk, Lanarkshire. Roof ridge tile. . . . .